Resveratrol may have cardioprotective and antiproliferative Actions. 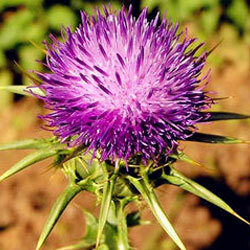 Resveratrol may protect heart/blood vessels and treat Alzheimer's spinal cord injury and cancer. Resveratrol has several activities that may account for its possible cardioprotective action. These include inhibition of the oxidation of low-density lipoprotein (LDL), inhibition of smooth muscle cell proliferation and inhibition of platelet aggregation. Resveratrol has also been found to reduce the synthesis of lipids in rat liver and to inhibit the production of proatherogenic eicosanoids by human platelets and neutrophils. Resveratrol's antioxidant activity may play an important role in its possible cardioprotective action. 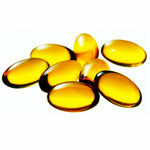 Above, was mentioned its ability to inhibit the oxidation of LDL. Our resveratrol is 100% extracted from natural plant, more safe and bioactive. Our resveratrol has passed tests of more than 10 independent labs. Our resveratrol has a very low price with a very high quality. Our resveratrol has several types and large output to meet yours continual orders. "Micronized" particles are about 1.0 um and in some cases lower. 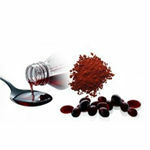 Gorunjie Micronized Resveratrol powder has a particle size of 1.0micron(1um) , and is absorbed up to 220% compared to regular Resveratrol that average between 149 to 224 microns. With increased absorption, you will simply need to take less. Regular resveratrol's solubility in water is 0.03 g/L, almost insoluble. Gorunjie Water soluble Resveratrol is a inclusion complexe of resveratrol with hydroxypropyl-β- cyclodextrin (Pharmaceutical Grade). It can be easily soluble in water, applied more widely than regular resveratrol. Acetyl-resveratrol is called prodrug on medicinal chemistry. Hydroxyls are replaced by acetyls. Acetyl-resveratrol is more stable than trans-resveratrol. When absorbed, it returns to resveratrol under action of metabolism. it can be easily excreted when intaked. This is why finding these acetylated analogs has been so significant; they have better bioavailability and increased biological activity in comparison to the base phenolic compounds. Since the acetylated Resveratrol is being absorbed more quickly, plasma levels in the body reach a higher level and at a faster rate. Through ester hydrolysis enzymes in the body actually break down acetylated Resveratrol back to its natural phenolic form. Gorunjie Granulated Resveratrol is more content than regular resveratrol. The whole process complies with GMP requirments strictly.